Lighting Can Track Your Position in Stores; Website helps users opt out of smartphone tracking; Five free tools to help brainstorm solutions and spark innovation; Laptops for work and play: the differences that matter; 10 tips to help you make the most of Google Apps; ‘Fix it’ patch for IE9 and IE10 exploit; Malware-infected Android apps spike; Facebook’s $19 Billion WhatsApp Acquisition; 3D printing: 10 factors still holding it back; Twitter lie detector is in development; DOOM lives! Asus, Linksys router exploits tell us home networking is the vulnerability story of 2014 – If you’re using network-attached storage, video surveillance equipment, or remote router management software, beware of dodgy firmware—it’s become ground zero for hacker exploits, as recent debacles with Asus and Linksys routers emphatically illustrate. The message is clear: In 2014, vulnerable routers, NAS boxes, and other connected devices are leaving our home networks wide open to attack. New Philips Lighting Can Track Your Position in Stores – European electronics giant Philips has just unveiled a new technology, built into overhead lights, that is capable of tracking your exact location while indoors. Philips’ connected retail lighting system essentially converts each overhead light to a uniquely identifiable point on an invisible grid. Your phone can see this grid via an app to determine your exact position in a store. That information is then shared with retailers to help provide you with enhanced services. New website helps users opt out of smartphone tracking – Airports, malls, large stores and even London litter bins have been caught tracking people via the Wi-Fi signals broadcast by their smartphones, and presumably national spying agencies such as the NSA and GCHQ are doing it too. The obvious solution is to turn Wi-Fi off when you leave your home or office. However, now there’s a website, smartstoreprivacy.org, that could help, though so far it’s US-only. 10 tips to help you make the most of Google Apps to get work done – Google Apps offers a cheap and effective suite of apps for businesses or schools looking to move to the cloud. Here are 10 ways to improve your Google Apps experience. Postcard For iPhone Lets You Post To Any Social Network At Once, Even Your Own Website – A new application, Postcard, launching today, will help you cross-post to various social media websites, but with a few unique twists. Unlike similar tools, this “Swiss Army Knife” of an app lets you set any one social network, or even your own website, as the content’s host. Give your Android an amazing look – Have random, beautiful home screen images set on your Android device from a number of services, thanks to this app. Shop with your camera phone – In this Tech Minute, CNET’s Kara Tsuboi explains how a couple of companies are harnessing the power of your phone’s camera to make shopping even simpler. 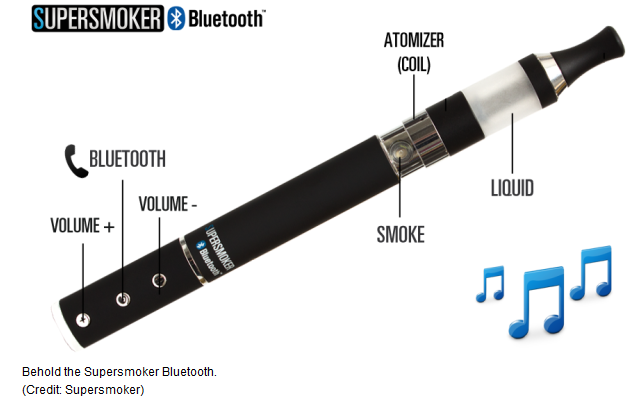 An e-cigarette packed with Bluetooth? Talk to the hand – The scenario is all too typical — you’re walking down the street puffing on an e-cigarette, just wishing you could use the little metal nicotine stick to make a phone call… How handy would that be? Well, dreams can come true. A company called Supersmoker has come up with an e-cigarette it claims is the world’s first to double as a Bluetooth headset and device that streams MP3s from a smartphone. That’s right, a musical cell phone cigarette. Five free tools to help brainstorm solutions and spark innovation – Visualize project requirements, sketch out a new org structure, identify workflow bottlenecks, or discover creative solutions to stubborn problems — all with the help of these free mind-mapping tools. Laptops for work and play: the differences that matter – Laptops come in so many flavors: There are thin-and-lights, convertibles, desktop replacements, 2-in-1s, gaming rigs, and even portable workstations. But all laptops can be lumped into one of two buckets: Consumer or business. I’ll show you what makes them different, and help you decide which is right for your needs. You can now earn achievements using OneDrive – Microsoft has announced that Xbox One owners can claim some unique achievements by using the newly rebranded OneDrive app, including two that are available for one week only. Google Map Maker expands to more corners of Europe – Residents of Greece, Croatia, Estonia, Latvia, Lithuania, Slovakia, and Slovenia now can make their own contributions to Google Maps and Google Earth. Yik Yak Is An Anonymous Messaging App Aimed At College Campuses – What happens when you combine anonymous messaging with college campuses? You get 100,000 users in three months. The startup was launched by two Furman University students, Tyler Droll and Brooks Buffington, aiming to connect people through anonymous, location-based posts. Within a five-mile radius, the poster can choose to share with the closest 100, 250, or 500 Yik Yak users. For $.99, users can share with 1,000 people, 2,500 for $1.99, and 10,000 for $5. New Google Maps exits preview with features for all – Google is bringing its latest version of Google Maps out of beta and pushing it to the public, with better integration of search results, smarter route navigation, and easier access to galleries and 3D imagery of points-of-interest. The new version was previewed last year, first as a closed beta and then opened up to those feeling experimental. Reveal 11 Business review: automated videography for your professional needs – Pick a style, supply the content, and create near pro-quality promotional or training videos with this easy-to-use production tool. How to make the Windows desktop look good on high-DPI displays – Windows wasn’t made to work well with pixel-packed displays. Here’s how to force the issue. India launches own wikipedia in local languages – Called Vikaspedia, the online information guide is part of the government’s efforts to make democratize. For a start, It has data on health, agriculture, education, social welfare, energy and e-governance. Microsoft issues ‘Fix it’ patch for IE9 and IE10 zero-day exploit – Microsoft has now issued a formal security warning and a “Fix it” patch for an exploit that affects both Internet Explorer 9 and 10 that was discovered last week. Belkin Fixes WeMo Vulnerabilities With Firmware Update – Fear not, owners of Belkin WeMo devices: you no longer have to lose sleep over the possibility that your smart plug will be hacked. Belkin has rolled out an update that patches the five vulnerabilities listed by FEMA’s Computer Emergency Readiness Team. 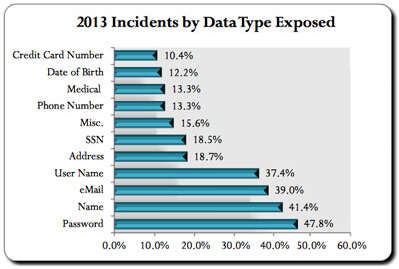 800M exposed records make 2013 record year for data breaches – While the number of incidents data loss incidents in 2012 is almost by a third bigger that that for 2013, the number of records exposed in 2013 breaches has reached a record 823 million. The majority of data breaches hit businesses, followed by government, medical and educational institutions, and it should not be wholly unexpected that the overwhelming majority of the exposed records was stolen from businesses, as well. It also shouldn’t come as a surprise that 45.5 percent of the breaches hit organizations based in the US, and that those accounted for 66.5 percent of the compromised records (of the US states, California leads the list with some 370 million records exposed). Iranians hacked Navy network for four months? Not a surprise – In 2012, Iranian hackers managed to penetrate the US Navy’s unclassified administrative network, the Navy Marine Corps Intranet. While the attack was disclosed last September, the scale of it was not—the attack gave hackers access to the NMCI for nearly four months, according to an updated report by The Wall Street Journal. University of Maryland hacker nabs SS# trove – In a statement on the university’s website today, University of Maryland President Wallace Loh revealed a security breach resulting in hundreds of thousands of compromised social security numbers, as well names, university IDs, and dates of birth. Calling it a “sophisticated computer security attack,” Loh stated all relevant parties that have been issued a university ID since 1998 are at risk. Malware-infected Android apps spike in the Google Play store – In 2011, there were approximately 11,000 apps in Google’s mobile marketplace that contained malicious software capable of stealing people’s data and committing fraud, according to the results of a study published Wednesday by RiskIQ, an online security services company. By 2013, more than 42,000 apps in Google’s store contained spyware and information-stealing Trojan programs, researchers said. Tinder flaw may have exposed members’ exact whereabouts for months – Popular swipe-right-to-like dating app Tinder exposed members’ most private information without their knowledge, according to security consulting firm Include Security. The firm said Wednesday that Tinder’s smartphone application had a vulnerability associated with its geolocation feature for most of 2013. The flaw, which was fixed earlier this year, allowed a Tinder user — albeit a sophisticated one with programming skills and access to the app’s API — to get the exact latitude and longitude for another user. Qualcomm called out by China for alleged overcharging, dominance – China’s anti-monopoly body says Qualcomm is abusing its market dominance and could face more than $1 billion in fines. Facebook’s $19 Billion WhatsApp Acquisition, Contextualized – Facebook just announced it’s buying WhatsApp, a global messaging platform with 450 million MAUs, for approximately $19 billion. It’s one of the biggest tech acquisitions since HP bought Compaq for $25 billion in 2001. 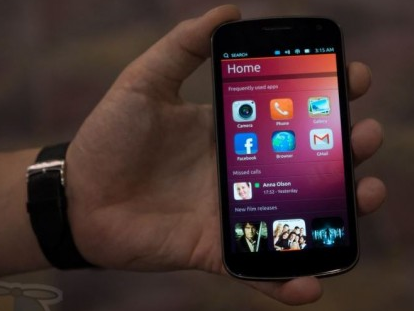 Ubuntu smartphones have official manufacturers, releasing this year – The two manufacturers, Meizu and BQ Readers, will be the first two companies producing and releasing smartphones with Ubuntu’s mobile OS pre-installed. The phones will be available globally sometime this year, but they will be targeting emerging markets so they have a better chance to compete with iOS and Android. eBay acquires PhiSix, which lets users try on 3D clothes virtually – The e-commerce giant may soon let online shoppers virtually “try on” jeans, dresses, shirts, and other clothing to see how they fit and move. 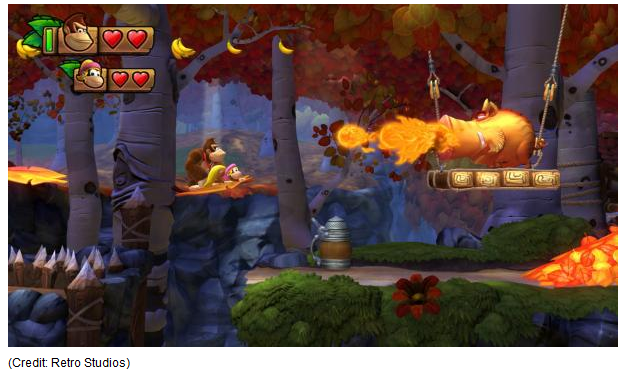 Donkey Kong Country: Tropical Freeze: Low-hanging fruit – There’s a lot to like in Tropical Freeze, as it marks the first time we’ve ever seen Donkey Kong in HD. The game is absolutely gorgeous and is packed with complex level design and more hidden items than you’ll likely be able to handle. It’s nearly as much fun to gawk at its visuals as it is to actually play it. That Instant World of Warcraft Level 90 Boost Might Set You Back $60 – Blizzard announced the insta-level 90 perk back in January in a Warlords of Draenor news update, revealing the boost would be granted for one character per account to anyone buying the expansion. The company then added, in a clever marketing ploy, that pre-orders for the expansion would gain access to the optional boost at time of pre-purchase (though the pre-purchase program isn’t live yet). DOOM lives! Wolfenstein: The New Order pre-order includes access to DOOM beta – Bethesda Softworks has officially announced that pre-orders for the upcoming FPS Wolfenstein: The New Order will include access to the next game in id Software’s DOOM series. iOS 7 game emulator brings Game Boy to iPhone without Jailbreak – Not to be out-done by the Jailbreak-only emulators of gaming consoles of the past, the developer behind GBA4iOS has created a release of his Game Boy Advance that works with all devices running iOS 7 or higher. This includes iPhones, iPod touch, iPad, and iPad mini as well. Preview: The Order: 1886 bends Victorian-era London history to our liking – This PS4 exclusive is actually the first original console game by developer Ready at Dawn Studios, which got its start making the hit PlayStation Portable game Daxter and the two God of War handheld titles. Now, the Irvine, California-based team is making the transition to its own console IP, with a game that features an important time-period transition. Steam’s Linux game count explodes in one year, big publishers still absent – Valve’s digital game distribution service now hosts 333 games for Linux, compared to 60 games last February. (Strangely, Steam’s store page claims that 541 games are now available, but when you search the entire catalog it shows only 333 titles. We’ve asked Valve for clarification.) Either way, it’s a healthy rate of growth as Valve gets ready to launch SteamOS, the Linux-based operating system for Steam Machine consoles. So far,14 hardware makers have pledged to launch Steam Machines later this year. PediaPress Wants To Print The Complete English Wikipedia In 1,000 Books – This is not a joke. PediaPress launched an Indiegogo campaign to print the entire English Wikipedia encyclopedia on around 1,000 books, representing more than a million pages. The startup printed the first volume to see how it would look — in it, you will find all the articles from “A” to “A76 motorway”. This $39,000 3D printer can prototype full-sized furniture – The 3D printing revolution is well under way, and the creators of the BigRep One think they’ve come up with the next big thing. Really big — as in a build volume of more than a cubic meter. This is obviously not the competitively-priced unit you’ve been waiting to pick up for your home. 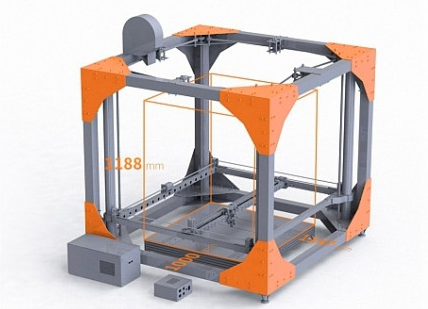 The BigRep One is intended for professional-grade users that need to be able to rapidly prototype human-scale objects like furniture or sculptural pieces. 3D printing: 10 factors still holding it back – As promising as 3D printers seem, their usefulness is still questionable. High costs, safety concerns, patents, and design complexity are all contributing to legitimate skepticism. Twitter lie detector is in development – Have you ever told a fable on Twitter, perhaps for humor’s sake or as an accidental faux pas? Ever retweeted something, only to later discover it was false? Soon such tweets will be tested under the watchful eye of Pheme, a lie detector of sorts that aims to determine in real time whether a tweet contains the truth or is a lie. FCC isn’t giving up on Net Neutrality – The Federal Communications Commission was told it did not have the authority to stop broadband providers like Verizon and Comcast from prioritizing select internet traffic or, conversely, slowing other traffic, but the court pointed out that it may already have the power in other ways under existing telecoms laws. Now, FCC Commissioner Tom Wheeler says he will “accept that invitation” from the court. Whatever happened to the IPv4 address crisis? – In February 2011, the global Internet Assigned Numbers Authority (IANA) allocated the last blocks of IPv4 address space to the five regional Internet registries. At the time, experts warned that within months all available IPv4 addresses in the world would be distributed to ISPs. So, here we are three years later and the American Registry for Internet Numbers (ARIN) is still doling out IPv4 addresses in the United States and Canada. Undelete Navigator – Undelete Navigator allows you to find and undelete your accidentally lost or intentionally deleted files from all your internal and external hard disks, USB flash sticks and SD memory cards. Once a drive is scanned for deleted files you will be presented a folder tree and file list views. The folder tree presents all the folders found on the drive that contain deleted data. The file list view presents the deleted files in the currently chosen folder. Items in the file list view may be presented in two different ways: you can see file details with file size and modification time or you can see the file icons. Switch between the views with the corresponding toolbar buttons. 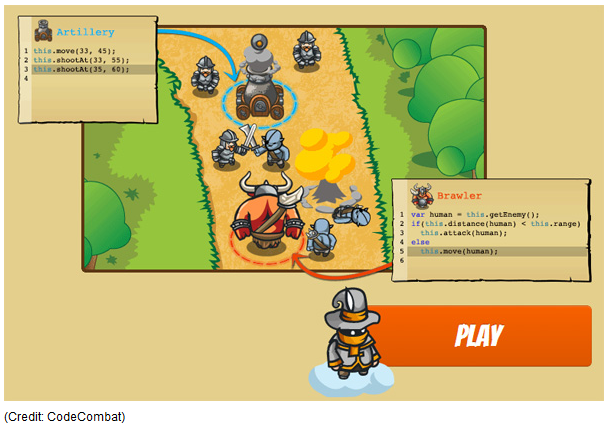 The software is capable of generating thumbnails for a large variety of image formats. A generated thumbnail in most cases proves integrity of a deleted image file. IObit Advanced Mobile Care – Advanced Mobile Care is an all-in-one Android security and performance optimization app that performs real-time virus scans while also featuring a brand new Anti-theft, powerful Game Speeder, Battery Saver, App Manager, Task Killer, Privacy Locker, Privacy Advisor and Cloud Backup. With its sleek design and powerful features, Advanced Mobile Care gives Android users an excellent way to protect their smartphones from Android security and performance problems. With Advanced Mobile Care, your device will receive automated protection and system tune-ups like Malware Removal, Privacy Protection, and Operating System Cleaning in addition to an extensive toolbox of system utilities. EZ CD Audio Converter Free – The Easy CD-DA Extractor application is the Swiss Army Knife Of Digital Audio is ALL-IN-ONE music converter that rips Audio CDs, converts audio files from one format to another, edits metadata of audio files. Supports all popular audio file formats such as MP3, AAC, aacPlus, Apple Lossless, Windows Media Audio, Ogg Vorbis, FLAC, Monkey’s Audio, and more. You can use Audio CD Ripper to rip CDs to different audio formats. CD ripping is powered by AccurateCDDA that provides accurate, error detective, and high-performance CD ripping. Audio CD Ripper also contains DSP panel that allows you to normalize audio from different CDs to the same volume level, or you can apply fade in/out, or delete leading and trailing silence of a song. Heathrow harassment, Snowden, NSA spying: may be problems returning to US – Jesselyn Radack – The US Government and their war on journalism has taken a new and dangerous twist, now the US and its surrogates have taken the unprecedented move of going after the lawyers. Recently Jesselyn Radack, an attorney for Edward Snowden was detained at Heathrow airport in the UK, the same airport that has detained many journalists and associates connected to WikiLeaks and the Snowden case. The David Miranda judgment has chilling implications for press freedom, race relations and basic justice – One person’s freedom fighter may be another’s terrorist, but David Miranda is very clearly neither. Yet he was detained at Heathrow airport for nine hours under schedule 7 of the Terrorism Act 2000. That the high court has now found his detention to be lawful is disappointing, to say the least. If someone travelling as part of journalistic work can be lawfully detained like this – questioned for hours without a lawyer present, his electronic equipment confiscated and cloned and all without the merest suspicion of wrongdoing required – then clearly something has gone wrong with the law. NSA and GCHQ spying on WikiLeaks – Today, documents were published from the national security whistleblower Edward Snowden, detailing US and UK spying efforts against the publishing organization WikiLeaks. One document shows that as far back as 2010 the US National Security Agency added WikiLeaks publisher Julian Assange to a “MANHUNTING” target list, together with suspected members of al-Qaeda. Another shows that the NSA wanted to designate WikiLeaks as a “malicious foreign actor” in order to expand the NSA’s ability to target WikiLeaks staff, associates and supporters. And a third document, from 2012, demonstrates that the NSA’s UK partner GCHQ also spied on WikiLeaks and its readers. 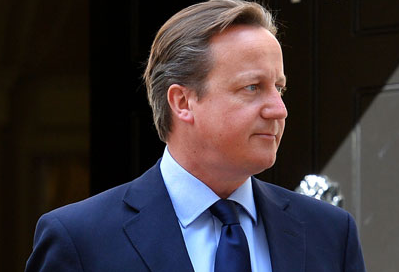 Press freedom groups urge David Cameron to lay off The Guardian – A group of the world’s leading press freedom bodies is calling on prime minister David Cameron to distance himself from the investigation into The Guardian over the leaks by the NSA whistleblower Edward Snowden. The seven organisations also want Cameron to urge parliament to repeal the statute that underlies the royal charter on press regulation. Signatories to a letter sent to Cameron today include the World Association of Newspaper and News Publishers (WAN-IFRA), the New York-based Committee to Protect Journalists (CPJ) and the International Press Institute (IPI). The decision to write to Cameron was taken at the annual meeting of the global coordinating committee of press freedom organisations, which took place in London last month. It followed what the signatories call an “unprecedented” fact-finding mission to Britain by WAN-IFRA. Merkel phone tapping fair game under international law, says ex-MI6 deputy – Intercepting the telephone calls of Angela Merkel would have been “politically unwise” and “certainly illegal under German law”, according to a former senior British secret intelligence officer. However, he says that under international law, tapping into the German chancellor’s telephone conversations “would appear to be fair game”. Nigel Inkster, former deputy chief of MI6, was responding to the disclosure by Edward Snowden that the US National Security Agency targeted Merkel’s mobile telephone. Though the White House has not officially admitted it, it has said the US will not monitor the chancellor’s conversations in future. Indonesia: Australia and US need to clean up their mess – Indonesia has said Australia and America need to “clean up their mess” to salvage relations with Indonesia after revelations that Australia spied on a law firm representing Indonesia in a trade dispute. New documents from whistleblower Edward Snowden reveal that the Australian Signals Directorate (ASD) spied on an American law firm representing Indonesia in a trade dispute and offered the information to America, the New York Times reported on Sunday. American Sues Ethiopian Government for Spyware Infection – An American citizen living in Maryland sued the Ethiopian government today for infecting his computer with secret spyware, wiretapping his private Skype calls, and monitoring his entire family’s every use of the computer for a period of months. The Electronic Frontier Foundation (EFF) is representing the plaintiff in this case, who has asked the court to allow him to use the pseudonym Mr. Kidane – which he uses within the Ethiopian community – in order to protect the safety and wellbeing of his family both in the United States and in Ethiopia. Thanks Rick. I’ve bounced one back at ya – Using Software To Change Your Computer DNS Fast (and Safe) – in today’s TNN.